A team of University of Georgia (UGA) researchers has improved the processing of bio-oil (pyrolysis oil) into biofuels that can be mixed with diesel. Unlike previous pyrolysis fuels derived from wood, the new and still unnamed fuel can be blended directly with biodiesel and petroleum diesel to power conventional engines. The group's findings [*abstract] are detailed in the early online edition of the American Chemical Society journal Energy and Fuels. Tom Adams, author and director of the UGA Faculty of Engineering outreach service, explains that scientists have long been able to derive oils from wood, but they had been unable to process it effectively or inexpensively so that it can be used in conventional engines. The researchers have developed a new chemical process, which they are working to patent, that inexpensively treats the oil so that it can be used straight in unmodified diesel engines or blended with biodiesel and petroleum diesel. The new process works as follows: wood chips and pellets - roughly a quarter inch in diameter and six-tenths of an inch long - are heated in the absence of oxygen at a high temperature, a process known as pyrolysis. Up to a third of the dry weight of the wood becomes charcoal, while the rest becomes a gas. Most of this gas is condensed into a liquid bio-oil and chemically treated. When the process is complete, about 34 percent of the bio-oil (or 15 to 17 percent of the dry weight of the wood) can be used to power engines. The researchers are currently working to improve the process to derive even more oil from the wood. The researchers have created test plots to explore whether the charcoal can indeed be used as a fertilizer. If the economics work for the charcoal fertilizer, going carbon negative becomes a very green option. "You're taking carbon out of the atmosphere when you grow a plant, and if you don't use all of that carbon and return some of it to the soil in an inert form, you're actually decreasing the amount of carbon dioxide in the atmosphere. We're optimistic because in most types of soil, carbon char has very beneficial effects on the ecology of the soil, its productivity and its ability to maintain fertility." The idea of storing "bio-char" or "carbon black" into soils is thousands of years old. Scientists working in the Amazon and in the West African rainforest found that native populations had been using the technique of sequestring charcoal in soils for millennia. Such "terra preta" or "dark earth" plots are surprisingly fertile compared to non-treated soils (earlier post). The technique is currently receiving a lot of attention from the renewable energy community and from climate scientists alike, because it promises to offer a reliable and affordable method to reduce carbon dioxide emissions. The process could be implemented on a vast scale in low-fertility and problematic soils across the tropics and the subtropics. But more research is needed. As Adams says, although the new biofuel with carbon negative potential has performed well, further tests will allow the researchers to assess its long-term impact on engines, its emissions characteristics and the best way to transport and store it. "It's going to take a while before this fuel is widely available", Adams said. "We've just started on developing a new technology that has a lot of promise." The research was funded by the U.S. Department of Energy, the Georgia Traditional Industries Pulp and Paper Research Program and the State of Georgia upon the recommendation of the Governor's Agriculture Advisory Committee. Manuel Garcia-Perez, Thomas T. Adams, John W. Goodrum, Daniel P. Geller, and K. C. Das, "Production and Fuel Properties of Pine Chip Bio-oil/Biodiesel Blends" [*abstract], Energy and Fuels, May 18, 2007, ASAP Article 10.1021/ef060533e S0887-0624(06)00533-0. University of Georgia: New biofuel from trees developed at UGA: Still-unnamed fuel can be blended with biodiesel, petroleum diesel - May 18, 2007. Scientists have observed the first evidence that the Southern Ocean’s ability to absorb carbon dioxide, the major greenhouse gas, has weakened by about 15 per cent per decade since 1981. The Southern Ocean normally cycles about 15% of the world's carbon dioxide, but can no longer keep up. Researchers had predicted this weakening would occur somewhere in the second half of this century, not this soon. The Southern Ocean's efficiency at cycling vast amounts of carbon dioxide is due to its cool waters. Now a four-year study by scientists from Germany's Max-Planck Institute for Biogeochemistry, the University of East Anglia (UEA) and the British Antarctic Survey (BAS) reveals that an increase in winds over the Southern Ocean, caused by greenhouse gases and ozone depletion, has led to a release of stored CO2 into the atmosphere and is now preventing further absorption of the greenhouse gas. The study [*abstract] published in Science today shows that this weakening of one of the Earth’s major carbon dioxide sinks will lead to higher levels of atmospheric carbon dioxide in the long-term, in what is called a 'positive feedback'. "This is the first time that we've been able to say that climate change itself is responsible for the saturation of the Southern Ocean sink. This is serious. All climate models predict that this kind of 'feedback' will continue and intensify during this century. The Earth's carbon sinks - of which the Southern Ocean accounts for 15% � absorb about half of all human carbon emissions. With the Southern Ocean reaching its saturation point more CO2 will stay in our atmosphere." - Lead author Dr Corinne Le Quéré, UEA and BAS. The new research suggests that stabilisation of atmospheric CO2 is even more difficult to achieve than previously thought. Additionally, acidification in the Southern Ocean is likely to reach dangerous levels earlier than the projected date of 2050. Professor Chris Rapley, Director of British Antarctic Survey makes the point on the need to limit our reliance on fossil fuels: "Since the beginning of the industrial revolution the world's oceans have absorbed about a quarter of the 500 gigatons of carbon emitted into the atmosphere by humans. The possibility that in a warmer world the Southern Ocean - the strongest ocean sink - is weakening is a cause for concern." The saturation of the Southern Ocean was revealed by scrutinising observations of atmospheric CO2 from 40 stations around the world. Since 1981 the Southern Ocean sink ceased to increase, whereas CO2 emissions increased by 40%. Dr Paul Fraser, who leads research into atmospheric greenhouse gases at Australia's CSIRO Marine and Atmospheric Research, says the international team’s four-year study concludes that the weakening is due to human activities. “The researchers found that the Southern Ocean is becoming less efficient at absorbing carbon dioxide due to an increase in wind strength over the Ocean, resulting from human-induced climate change,” Dr Fraser says. The increased winds influence the processes of mixing and upwelling in the ocean, which in turn cause an increased release of carbon dioxide into the atmosphere, reducing the net absorption of carbon dioxide into the ocean. Eurekalert: Climate change affects Southern Ocean carbon sink - May 18, 2007. CSIRO: Southern ocean carbon sink weakened - May 18, 2007. Australia may take a place in the front line of the global biochemical industry thanks to a new partnership between the University of Queensland (UQ) and the Korea Advanced Institute of Science and Technology (KAIST). Both institutions have teamed up to develop and patent the technology to convert sugar cane into bioplastics and green chemicals. The UQ-KAIST partnership matches Queensland's strengths in sugar cane production with South Korea's status as a global chemicals giant. The goal of the agreement is to fuse biotechnology and nanotechnology to create hyper-efficient biorefineries that convert sugar cane into a multitude of green products. Queensland Premier Peter Beattie was present at the signing of the UQ-KAIST agreement in Seoul earlier this month. UQ Senior Deputy Vice-Chancellor Professor Paul Greenfield, who signed the collaboration deal, said that the trillion dollar global chemical industry was expected to shift gradually from reliance on oil to reliance on biomass in coming decades. 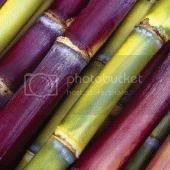 According to Greenfield, replacing oil with sugarcane would reduce the use of non-renewable resources for chemicals by up to 90 percent. Chemical production currently accounts for seven percent of the world's energy use. Mr Beattie said: “Now we have one of the world's top research partnerships on the case, and that means we're driving a whole new industry.” The emerging green chemistry sector offers the potential to create jobs in regional Australia. Ideally, biorefineries will be built close to cane farms in order to use low cost, green energy supplied by bagasse (a sugar by-product), whereas the chemical building blocks of the plant will be used for the production of renewable and biodegradable plastics, detergents, drugs, glues, gels, and biopolymers. About 1000 employees would be needed to build a biorefinery. “We have things that South Korea needs: raw materials for biochemicals; and bioplastics research expertise,” Professor Greenfield added. AIBN is Australia's only fully-integrated research institution where scientists and engineers collaborate to solve problems at the point where biotechnology and nanotechnology meet. Other players are looking at sugar cane for bioproducts too. Earlier this month, leading green chemistry company Metabolix announced a collaboration with the Cooperative Research Centre for Sugar Industry Innovation through Biotechnology, an alliance of Australia's sugarcane biotechnology research organizations, to develop natural plastics from sugarcane. The future of biobased products hints at decentralisation and reliance on local biomass resources. This paradigm set to benefit developing countries who are currently dependent on foreign petrochemical industries. Small countries with a thriving sugar cane industry have already seen the opportunity. The tiny Indian Ocean state of Réunion, for example, recently launched an ambitious research program aimed at building a biorefinery in the next four years that will rely on utilising sugar cane to produce a range of bioproducts and biofuels. University of Queensland: Sugar hit for “green” chemical industry - May 3, 2007. The governor of the Reserve Bank of Zimbabwe has announced the institution has so far disbursed 2.9 billion Zimbabwean dollars (€8.6/US$11.6 million) for the national biodiesel project out of a total of $3 billion availed by the country's government last year. Zimbabwe's biodiesel project is aimed at avoiding fuel shortages which have become a factor in the country's economic decline. The program is primarily based on the cultivation of Jatropha curcas, a drought tolerant shrub the oil-rich seeds of which make for a biodiesel feedstock. Responding to questions from parliamentarians in Harare, the bank's governor Dr Gideon Gono said a total of $2,937 billion has so far been invested into the biodiesel project leaving a balance of $62 million. Finealt Engineering, a registered company wholly owned by the government, is running the project. The funds are being used for plant design equipment, vehicle expenditures, recurrent expenditures, salaries, office furniture and stationery and consultancy fees. The governor further noted that site preparation, which included soil tests, site clearing, environmental impact assessment, topographical survey and erection of the site offices had been completed. Civil works at the site are in progress. However, there is a challenge of financial resources to pay the contractor. Procurement of equipment, which includes steel vessels, oil expellers, lab and workshop equipment, earthing and pumping material have been delayed largely due to shortages of foreign currency. Finealt Engineering is working towards scaling up the industry and has applied for clearance to plant Jatropha cuttings along the major roads of the nine districts in Mashonaland East from the Department of Works in the Ministry of Local Government, Public Works and Urban Development in an effort to increase national production of the high oil-yielding plant. Currently, Finealt is in the process of purchasing Jatropha seed for processing once the plant is set up. A total site area of 102 hectares, which includes 50 hectares targeted for the production of jatropha seedlings has been set aside so far. Since 2005, Zimbabwe's government through the Ministry of Energy and Power Development and the National Oil Company of Zimbabwe has been stepping up efforts to promote the production of the Jatropha curcas plant as an alternative source of biodiesel to avert fuel shortages in the country. It established a Jatropha Growers and Bio-fuels Association aimed at disseminating information, technology and agricultural inputs to farmers. Apart from extracting biodiesel fuel from jatropha, the government is also collaborating with Triangle Limited to reopen an ethanol blending plant which is expected to reduce the country's fuel imports by 10 percent when it becomes operational later this year. The Herald (Harare): Biodiesel project gets $2,9 billion - May 18, 2007. Overview of Jatropha projects in Zimbabwe. In what is a major boost to Brazil's biodiesel industry, the president of state-owned company Petrobras Distribuidora (BR), Graça Foster, and the logistics executive director at mining giant Companhia Vale do Rio Doce (CVRD), Eduardo Bartolomeu, have signed a contract [*Portuguese] for the supply of B20, a mixture of 20% biodiesel and 80% common diesel to the mining company. The fuel will be used in the locomotives that operate on the Carajás Railway and on the Railway connecting Vitória (in Espírito Santo) to Minas Gerais, both in southeastern Brazil. The contract propels CVRD to the status of one of the biggest consumers of biodiesel in the world. Vale do Rio Doce is the largest logistics service provider in Brazil and the largest producer and exporter of iron ore in the world. The deal is part of broader fuel supply agreement worth 10 billion reais (€3.8/US$5.1 billion) over 5 years, with Petrobras delivering 1.807 billion liters of biodiesel, diesel, and gasoline per year. In total Petrobras Distribuidora will open 80 supply points across the country covering the mining, melting and logistical operations of CVRD. The project will create 600 direct jobs. Currently, CVRD is present in 13 Brazilian states, has business in countries on four continents and offices in New York, Brussels, Johannesburg, Tokyo and Shanghai. The company is the largest private company in Latin America. Brazil is working to provide incentives to the use of cleaner fuels, like biodiesel, and CVRD's uptake of the biofuel is a major step forward for the industry. Brazil's recently launched Pro-Biodiesel program is aimed at producing sustainable biodiesel, in which small farmers play a role through the Social Fuel policy (earlier post). CVRD announced in January a US$6.334 billion investment budget for 2007. According to the mining company, the budget includes the highest amount ever spent in organic growth in the history of the company, as well as investments on Inco, a Canadian mining company acquired by Vale do Rio Doce last year. Total investments in 2006 were higher, at US$ 26 billion, but that was due to the purchases made by Vale. The company paid US$ 19 billion for Inco, US$ 2.4 billion for Caemi, US$ 47 million for Rio Verde Mineração, and US$ 27.5 million to own all shares of Valesul. Purchases not included, US$ 4.5 million were effectively invested last year, that is, US$ 1.8 million less than the value forecasted for this year. The company plans on spending US$ 1.698 billion to maintain its existing operations, US$ 4.230 billion in projects, and US$ 406 million in research and development. The company will invest US$ 1.635 billion in flagship sector, which is iron minerals; US$ 811 million in the aluminum sector; US$ 720 million in logistics services; US$ 2.55 billion in non-iron minerals; US$ 209 million in coal, US$ 101 million in electric energy, US$ 114 million in the steel sector; and US$ 197 million in other sectors. It's winter time in the Southern hemisphere, and in Chile this means people start to heat their homes with natural gas or fuel oil. Cold temperatures in Argentina this week however decreased the supply of gas to Chile. Even though the Argentinean government declared that Chileans will be provided their regular supply of gas, the latter are seeking energy alternatives to ensure supplies for the country. Increased energy prices for transport fuels and natural gas means millions of poor and low income families are forced to choose between reducing their mobility or heating less. A cruel choice, for in many parts of Chile winter means temperatures below zero whereas mobility is an equally basic need. In order to avoid such a potential social and health crisis caused by energy poverty, the Chilean Ministers of Economy, Energy, Agriculture and Revenue - led by the left-wing government of President Bachelet - have decided to exempt biofuels from a tax in order to promote their use to boost energy security. According to Ecoperiódico [*Spanish], the tax applies to gasoline and diesel, and with this measure the prices of bioethanol and biodiesel will be a third of the price of one liter of gasoline. This must allow the poor and lower incomes to save on energy expenditures, or at least to make it through winter. Chile decided this Wednesday to eliminate a specific tax on biofuel, that is also paid on gasoline and diesel in order to promote their use. This takes place in the middle of the concerns about the reduced supply of gas from Argentina, which is the only supplier of this resource. The note continues explaining that Chile imports almost all of the fuel it consumes, and this decision will help reduce the fluctuations in fuel prices and gas supply. One of the most affected areas is the northern part of the country. Here, the Ministry of the Interior is working on an agreement [*Spanish] with the University of Tarapacá to develop a test field of Jatropha curcas on 1,500 hectares. The oil-seeds of this crop yields a feedstock for cold tolerant biodiesel that can be used in vehicles as well as in heating stoves and boilers [entry ends here].